2016 was the Silver Jubilee of our Blessed Sacrament chapel which was built under the direction of Canon James Neville RIP. This sacred space is greatly used by so many in our parish. The Eucharist is celebrated at 8.15am Tuesday to Friday. There is Adoration on Tuesday and Friday from 8am to 10pm and each other weekday evening from 6pm-8pm. The Rosary is recited each evening @ 7.30pm and the spiritual reading group meet on the first Monday of the month. 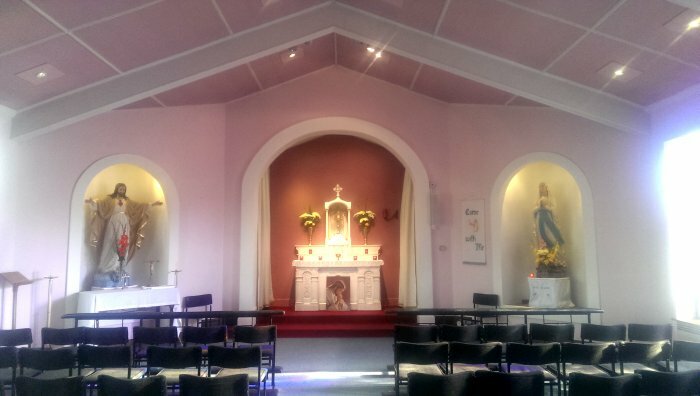 This is a smaller church and very suitable for family weddings.